The Apple iPhone XR redefines innovation. Its powerful hardware configuration features the advanced A12 Bionic chip that paves the way for the fast and efficient functioning of the system. In addition to it, the high-performance Neural engine gives you a reason to launch multiple applications at a go and experience multitasking at its finest. What adds further to the delight of the user is the massive 6.1inch LCD screen of this smartphone that delivers phenomenal visual effects no matter if you are playing a video game o watching a movie. Furthermore, this smartphone is also embedded with a high-resolution rear camera that lets you capture a moment as it is. Apart from it, a powerful TrueDepth camera is also integrated into the iPhone for selfie enthusiasts. Also, this front camera works with the Face ID technology to ensure only authorized access to data. 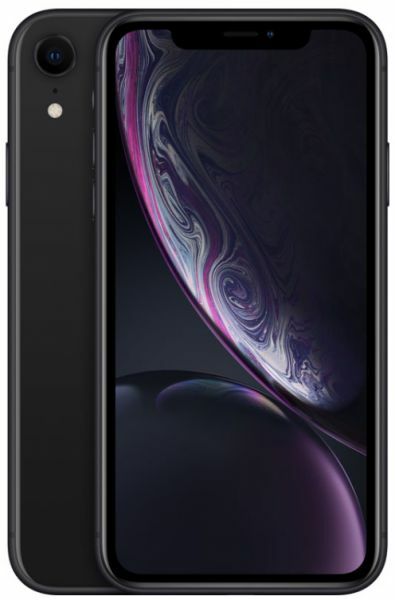 This iPhone also features 4G LTE technology along with Dual-SIM support for seamless connection to mobile networks. It also boasts of an in-built Lithium-ion battery that is compatible with Fast-charge technology and offers up to 25 hours of Talk time. Lastly, a bold black finish on this smartphone gives it an iconic look. Amazing device, fast with great display.